Movado breaks completely from its classic minimalistic style with its Fiero 605992 men’s watch, which speaks to the future with its streamlined shape, engineered case metal, varied functions and divergent face design. Whether you are looking for the date, hour, exact minute, second or tenth of a second, you will find it on your wrist with precision and style if you are wearing this watch. Even the material the Fiero 605992 men’s watch is made from departs from tradition. This Movado timepiece is made from tungsten carbide, a high tensile material that can withstand just about any challenge or force. 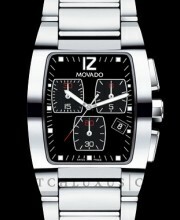 Movado also forgoes its trademark high noon dot for the number 12 on this chronograph. Its black rectangular face uses square dots to mark the hours and includes a date window at 4 o’clock, as well as separate windows for the minute, second and tenth of a second. 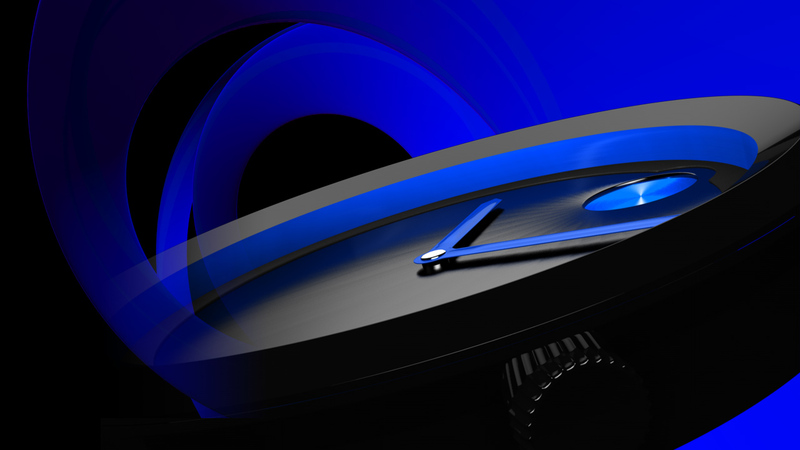 The dial window is scratch resistant sapphire crystal. The movement mechanism is Swiss quartz. The band, also made of tungsten carbide, is a clasp with button push release and the watch is water resistant up to 99 feet. The Movado Fiero 605992 men’s watch retails for $3,495 and is available at authorized Movado sellers. It comes with a two year manufacturer’s warranty.